Intercultural Perspectives at Loyola College develops intercultural understanding in our staff and students. We seek to learn from, with and about people in a culturally diverse world. These various initiates are informed by Victorian government policy. Loyola College develops opportunities for contact and intercultural understanding between ourselves and the Australian indigenous community. Loyola College annually hosts students from overseas on short term and long term exchanges. The number of students the College can accommodate is dependent on the availability of families to host a student. For long term exchanges (10 weeks or longer) families receive a weekly payment from the exchange student they are hosting. For more information about hosting an exchange student contact the Community Liaison or email CommunityLiaison@loyola.vic.edu.au. 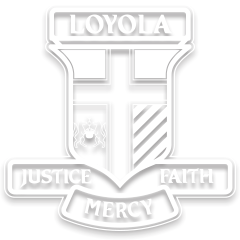 Loyola College annually hosts students from its three sister schools located in Italy, France and Indonesia. Families are required to host these students for between 8 and 14 days. There is no payment involved as the College has a reciprocal arrangement with each sister school so that Loyola students traveling to these countries can be home stayed by the sister school they visit. Loyola College partners with Bethlehem University in offering several of their teachers in training an opportunity to experience life in Australia while allowing staff and students of Loyola to learn about the traditions as well as the challenges of life in the Middle East. Each year a small group of staff and students participate in the Jesuit Immersion Program to East Timor. Click here to see the places Loyola College staff and students have visited.